All is well in Tomah country as we are in the “dog days of summer”, very warm days with cool nights. We had about an inch and a half of much-needed rain the past two days. The corn and soybeans crops are looking fantastic. Should be a bumper cranberry harvest. With Roundup Ready seeds, the fields are virtually weed-free, a far cry from the 1940s and 1950s corn fields on our home farm near Seneca in the heart of Crawford County. We’d have to cultivate corn at least three times to keep the weeds down. Ann and I retired from teaching eight years ago. Thus far we have enjoyed good health and health is everything. Yes, we are mindful that situations can change in an instant. Life is “pretty good” right now and those years slip by very quickly. We have been quite lucky to travel, bicycle, fly our club Cessna, jog (slowly), play guitar (badly), fly RC planes, visit children and grandchildren, be involved in church activities, write a few books, and some columns for newspapers and magazine. 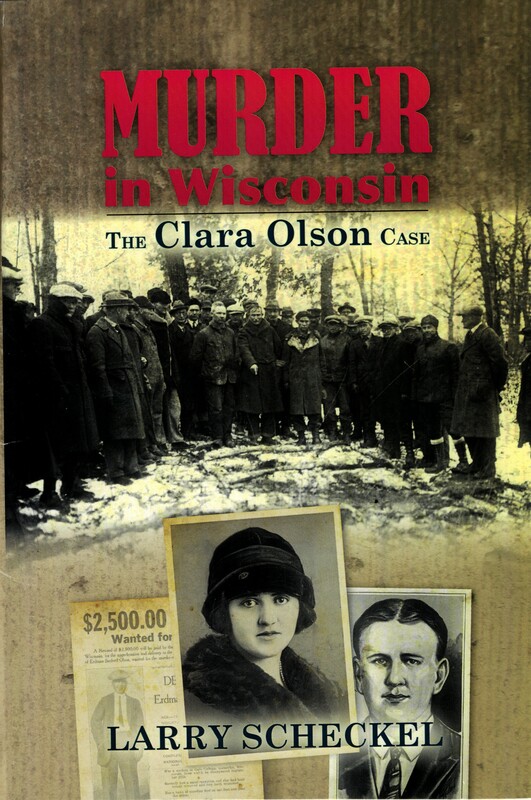 We got our latest book Murder in Wisconsin: The Clara Olson Case out the past few weeks. The first edition is not perfect. Has a few punctuation errors and other minor issues, but the next printing should be close to “good enough”. We also have a new science book, I Wondered About That Too, coming out in November. Published by TumbleHome Learning out of Boston. Another science book in 2019. My big project for the week was putting a new cupola on our newly-shingled garage. Had to order it off the Internet, as Menard’s, Home Depot, and All American Do It Center did not carry them. 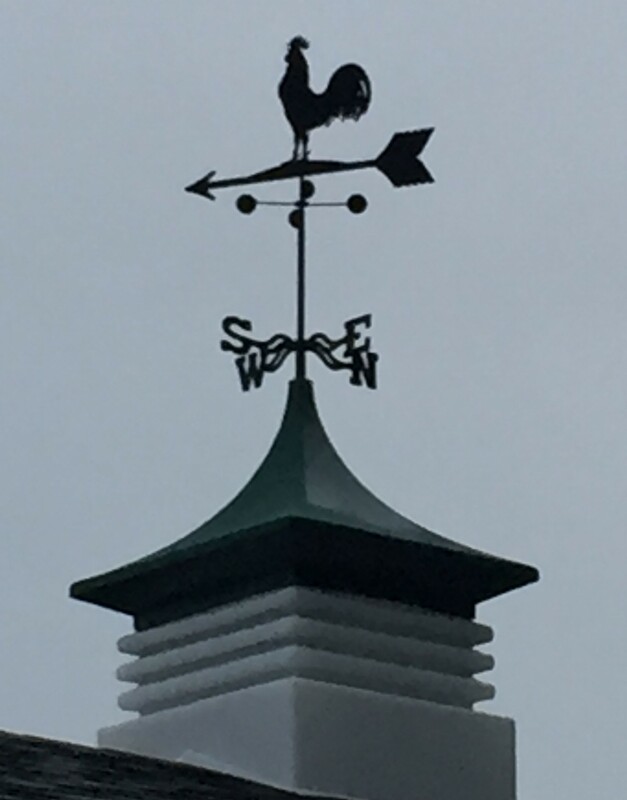 It was a tough choice between a tractor, horse, cow, or rooster for the weather vane. I went with the rooster. Our Big Barn on the farm had a horse and the Small Barn had a cow on the weather vane. When I left the farm in the fall of 1960 to go into the Army, both horse and cow suffered from numerous holes and missing parts, shots from a .22 rifle. I think my brothers did it.